Speleogenesis: How were caves and cenotes formed? The part of the hydrology called oceanography (division is arbitrary) studies the ocean and other water bodies from the aquatic point of view. It is closely related to at least four basic areas: physics, chemistry, biology and geology, as well as limnology, meteorology and glaciology, which confers a unique multidisciplinary flavor. Spheres. Modified from: Brian J. Skinner and Barbara W. Murck, 2011. The Blue Planet: An Introduction to Earth System Science. 3rd Edition. John Wiley & Sons. 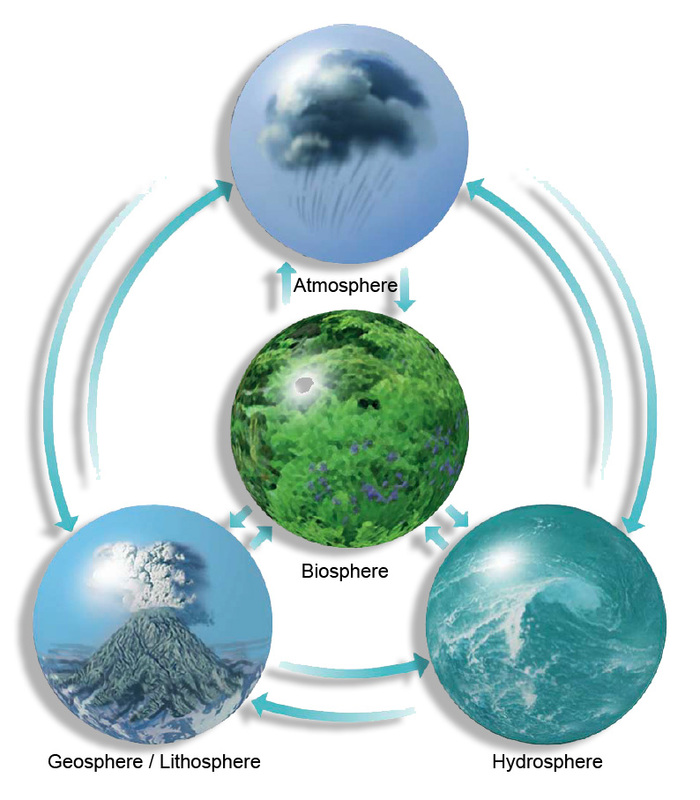 However, in our planet the ocean and aquatic systems are integrated into one, constantly interacting and exchanging materials with other spheres. Depending on the type of processes that we want to understand, it also does change the way of studying them. Although the analytical approach, to separate the parts of reality to study it is very useful, for the deep understanding of it is necessary to perform the synthesis, that is, the reintegration of information. In contrast, the term “aquatic biogeochemistry” refers to the physical, biological and geological aspects that are inevitably associated with chemical processes in the bodies of water on Earth. It emphasizes the biogeochemical cycles of the elements, that is, their exchange between spheres and their physical and chemical transformations along the way. In addition, it encompasses all types of aquatic systems other than the ocean that exist in our planet such as rivers, lakes, reservoirs, ponds, estuaries, fjords, cenotes, coastal lagoons, coral reefs, mangrove swamps, wetlands, and underground deposits. A molecule of water at the bottom of Lake Chapala may eventually fall as rain on the Tuxtlas in Veracruz. It may be carried by the Papaloapan River to the Gulf of Mexico, where it will later drain into the Atlantic Ocean through the Labrador current and probably continue its way to the north, near Iceland where, after evaporating and precipitating in the form of snow, it becomes part of a glacier for thousands of years. Other molecules, are dragged to great depths under the terrestrial crust, where they are mixed with the magma and come back in the form of vapor or within mineral inclusions in diamonds after a volcanic eruption. One of those molecules can be carried by the wind, to once again precipitate – after millions of years – in the lake of Chapala (if it’s that still exists of course, although it would surely have moved a few kilometers away). One of the central questions of hydrology is: What is the origin of water on Earth? Where did it come from? All the water currently present on the surface of the Earth comes from its interior (although there is discussion in this, since it was formerly thought that it came from comets that have collided with our planet and a minimum amount could have come from this source indeed), which has been progressively liberating since Earth’s formation about 4,600 million years ago. Although this process is still ongoing, it is estimated that the water that formed the current oceans and atmosphere had already surfaced from the interior about 2,500 million years ago, and that the current degassing rate is much lower. 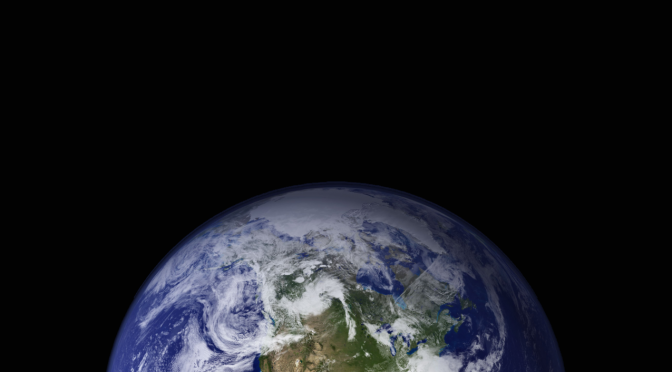 Viewed from outer space, Earth has been called the Blue Planet. But if you could pull all the water in the ocean, the atmosphere, groundwater and surface water into a ball, it would measure only about 950 miles (1,500 kilometers) in diameter (the large sphere). 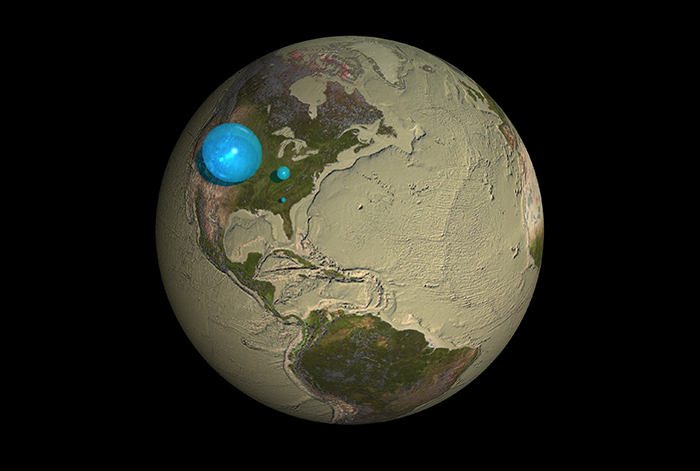 Only about 3 percent of the world’s water is fresh (the mid-sized sphere); and of that, only one-third is easily accessible to humans (the small sphere). Illustration by Jack Cook, Woods Hole Oceanographic Institution. Watch a video illustrating this surprising scarcity, explore the water cycle, and read more here. The difference with other planets, in terms of water content, would be because they could not retain it on its surface and the water escaped to the space. 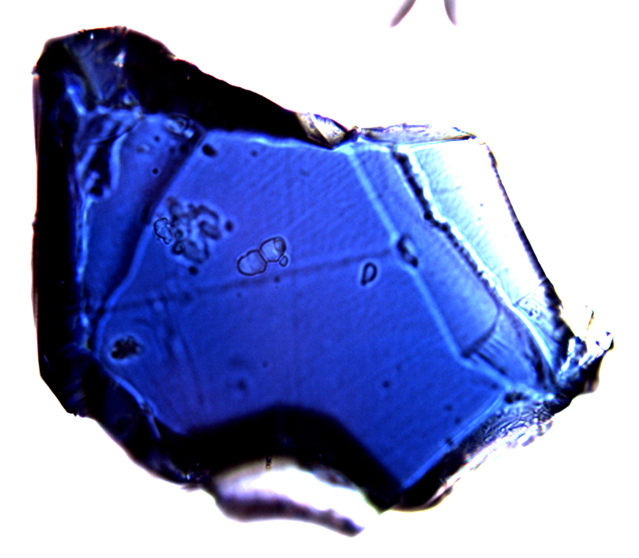 More recently, with the discovery of a diamond formed 600 km deep in the transition zone of the Earth’s mantle, which contains an inclusion of the mineral ringwoodite and several water molecules (this mineral can contain between 1-3% water by weight) strengthened the hypothesis that water from lakes, rivers and oceans came from the interior of the planet. If the entire ringwoodite of the mantle contains this amount of water, it is estimated that there is almost three times as much deep water in the mantle as in all the oceans combined. This also implies that the hydrological cycle penetrates hundreds of kilometers below the surface of the Earth, with residence times in depth on a scale of millions of years. 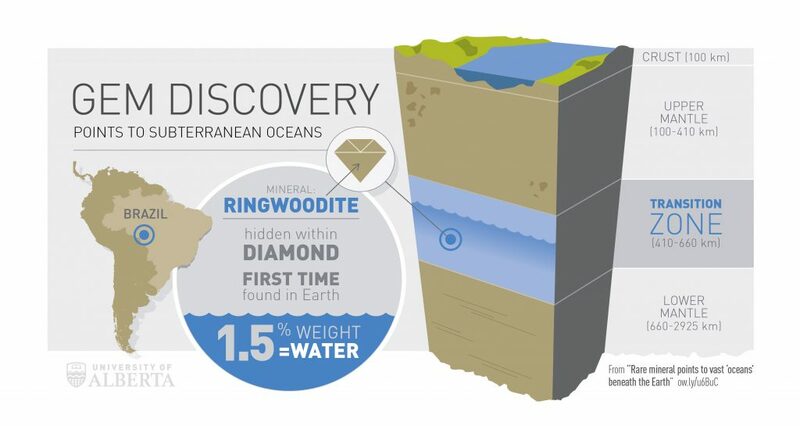 The first Earth discovery of ringwoodite was made by an international team led by the University of Alberta and could indicate the presence of large amounts of water between 400 and 700 km below the Earth’s surface.